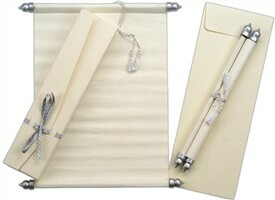 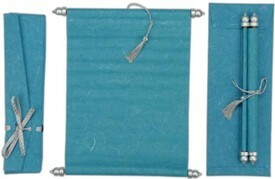 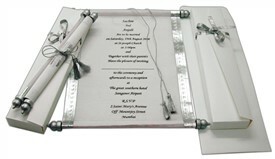 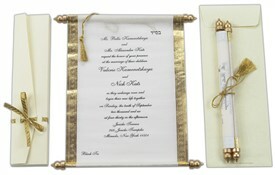 Description: Off-white: U may say Ivory with silver combination - Elegant and soothing. 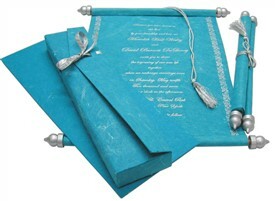 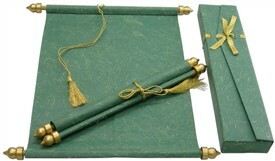 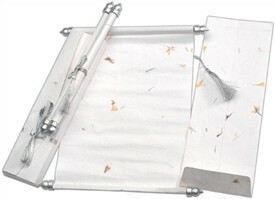 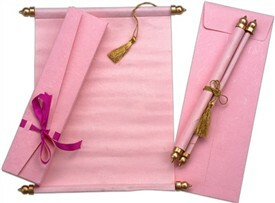 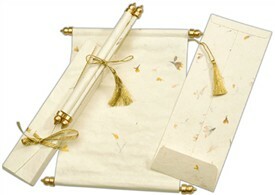 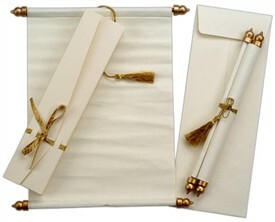 The off white handmade silk paper has its own simplicity. 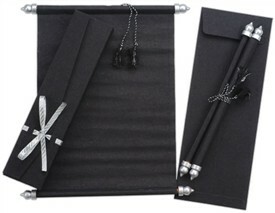 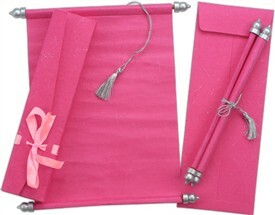 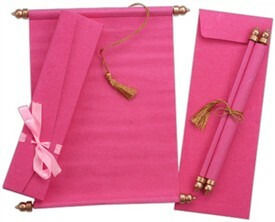 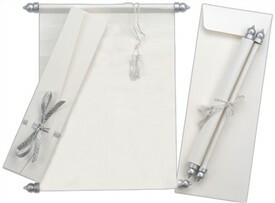 Silver bars, ends and tassel add a touch of glitter. 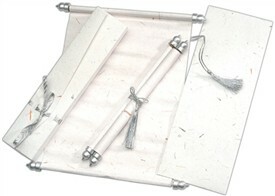 Silver ribbon ties the box. 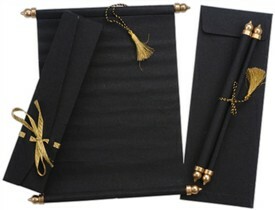 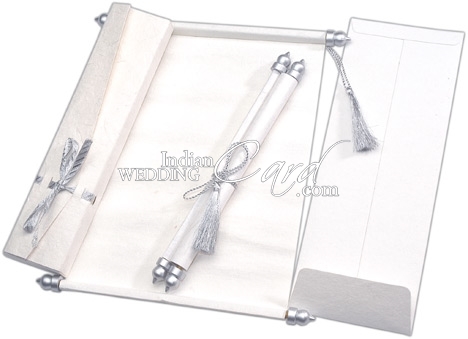 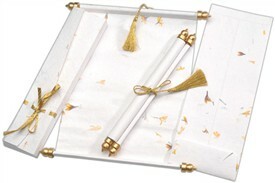 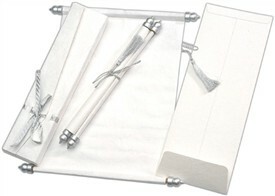 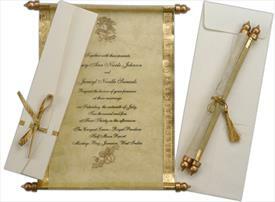 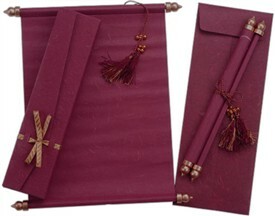 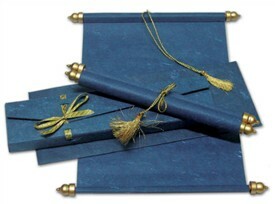 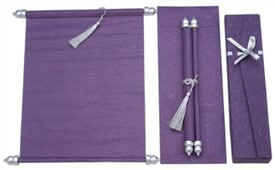 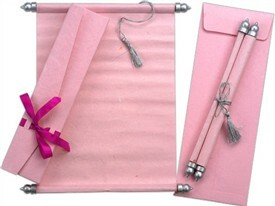 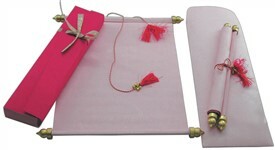 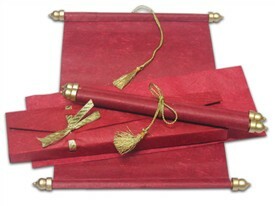 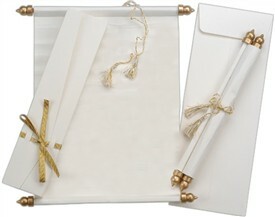 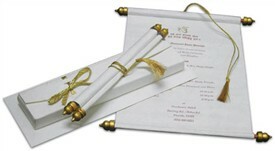 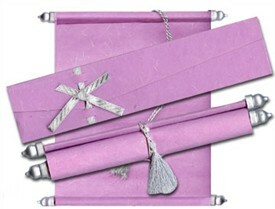 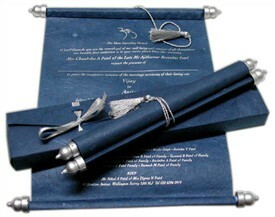 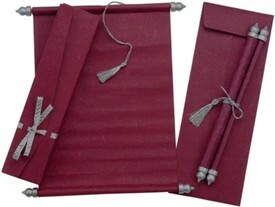 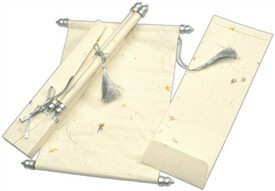 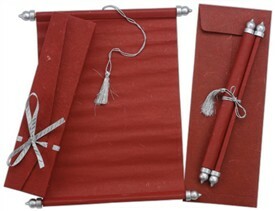 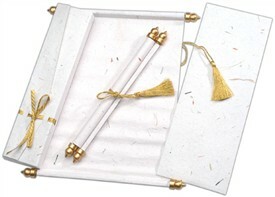 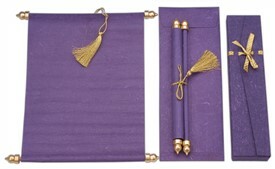 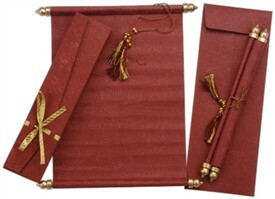 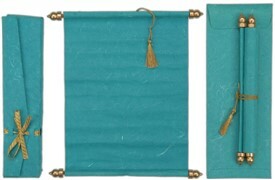 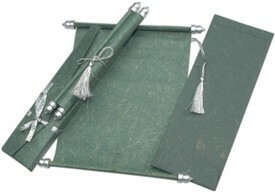 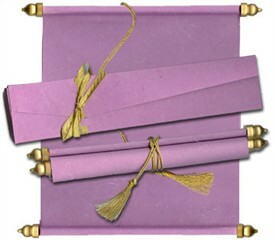 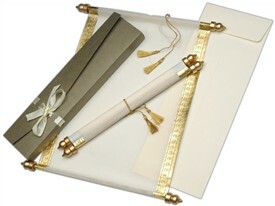 Paper: Ivory or Off white silk handmade paper used in scroll (100gsm), box (300gsm) and envelop (10gsm) with silver bars, ends and silk tassel tied by a silver Zari ribbon.